You may have a perfect idea for your blog and think that there is no better content (or product) than yours. While enthusiasm and professionalism are undeniable partners to success, there is a very important thing that you must account for when creating an efficient result-oriented website — your domain. Some believe that picking a domain name is like making a commitment to a long term relationship. It is much like marriage – often done once and for a very long time. This is why you need to be very careful when selecting a domain name, you don’t want to just ruin your relationship before it started! Domain is the first thing that determines how successful your website will be in the long run. It will determine how your website operates and hugely affect SEO capabilities of your website. A typical domain consists of two main parts: an extension and a name. Both are very important for the future success of your website. Depending on the location of your server and hosting server you use, options of purchasing may differ dramatically. In the vast majority of cases, you hosting provider will also offer you various ways to obtain a good domain. How to Pick a Good Name? Let’s start from choosing the right name. 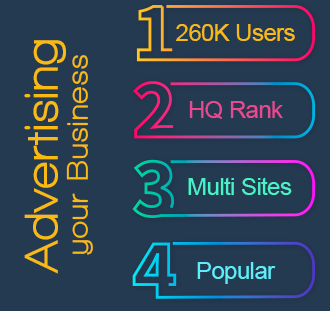 It is very important and allows you to quickly identify yourself and position your business in the vast ocean of similar products, services, and blogs. In order to be truly inventive and interesting, you will need to be not only creative, but also quite original. Put your name in it. Personal blogs and business card websites can benefit from representing its actual owner through its domain name. Use the name of your brand. This is a perfect way to immediately make your brand more recognizable and respectable. You will give your website a good score with it. Use products and services. If brand recognition is not something you are going after, putting in the name segment your products or main services can be very beneficial in terms of SEO. You may have a separate name for a specific product of service while maintaining the domain that represents your enterprise. Another good way to stand out is to use your area of business. If you are selling cucumbers then go for something like cucumber.com or sellingcucumbers.net. This will well-define your area of expertise. Creativity is very important when it comes to selecting a good domain name. Without a truly creative name that can stand out, you won’t be able to attract attention and traffic which will most certainly lead to problems with conversion. This is why you need to be inventive and select names that are catchy and easy-to-remember. The next logical and hugely important step is selecting the domain extension. This is a very important part of the process. Most commercial projects prefer using a common “com” or “org” extension, but there are many other options that can be just as effective. Some extensions are for specific industries and departments. For example, .gov is for governmental structures, .edu is used by educational projects, and .org by organizations. Some extensions are for specific countries. They add more local credibility to your website. If you are from Germany, using the .de extension is a good idea to attract from local traffic. Most countries have their own specific extensions. There are more so called TLDs (top level domains). You may get creative. For example, a good full domain for a communication company can be tele.com. Use your imagination!